Good news Captains Port management feature is under development and will be deployed to live servers next big patch. Infrastructure development All clans big and small will be able to improve their controlled ports and invest into infrastructure expanding resource development. With enough investments the need for hauling will be completely removed from a clan, creating a cluster city which allows production of all resources (with the exception of rare woods) Shipbuilding improvements Clans will be able to improve shipbuilding in their ports making better ships, faster ships, stronger ships tweaking the port perks to their liking Fortifications improvements Clans and their friends will be able to develop fortifications to protect their holdings All current fortifications on map will be removed For PVE server we plan to convert the map to the historical map allowing access to all ports and allowing capture through economy sabotage (without changing nations) giving partial access of this feature even on the PVE server. Hello Captains This is an advance warning on the turbulent 1-2 months ahead of us. In the next patch we will introduce significant changes to trading, damage model, mission distribution, port importance to clans, and ROE. As we are getting closer and closer to the release candidate the game will require several wipes (acc resets) during this pre-release preparation in areas most affected by the changes. First wipe will happen next week (from 4th to 8th March) The following things will be completely reset/wiped in the first wipe Victory marks: all victory marks will be removed, spend them on ships Ship permits: all ship permits will be removed, spend them on ships Reals: all reals above 50,000 will be removed Crafting resources: All crafting resources will be removed (like iron ore, oak etc.) 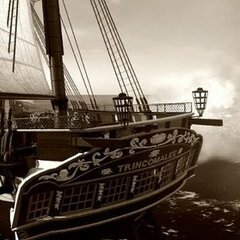 Trading resources – all trading resources will be removed (like Sevilla Muskets) All contracts will be wiped Tutorial rewards will most likely be reset: you will be able to pass the tutorial and get the rewards again What remains unaffected All seaworthy assets: ships, cannons, upgrades, books, or unopened chests will NOT be affected or removed. All investments in buildings, dock space and warehousing upgrades or outposts will NOT be affected or removed Ship crafting XP and Combat XP will NOT be affected. The main goal of the wipe is to test the new economy, trading and updated resource prices and labor hours (lh for crafting ships will be lowered). Additional pre-release resets/wipes if needed will be announced in the future in news on Steam and on game forums. We understand that it causes a lot of inconvenience to a lot of you. We arranging with valve to add the Early Access bonus ship Pandora to all early access buyers as Free DLC that will be redeemable once every 24 hours. It will take time but will definitely happen in March. Captains. Here is the update on the development plans for the next months. Port UI optimization will be deployed in 1-2 weeks the annoying redraw for all icons will significantly improve. Battle UI will be refreshed and updated within next couple of months. Some information on enemy actions will be removed from boarding to discourage last click action. Flags DLC Flags DLC will be introduced within next couple of days (from today 29th November) based on when Valve approves the page Localization Game code was fully prepared for the localization Localization (translation) will start next week. Once it finishes it will feature the following languages German Chinese French Spanish Russian Korean Japanese Localization file will also feature custom language for the community translations into other languages. Players can change the custom file themselves or download community files New player operations Welcome to the Caribbean operation for the new players Replaced with player tips PVP/PVE missions We have decided against lobby based content as a result all PVP tournaments and challenges will happen in the open world New challenges will be introduced Solo patrols Group events PVP hunt missions will be added Conquest missions Ports will give out capture missions for nearby ports or counties Economic sabotage and financing local resistance might get added too. Trading and economic PVP Trading will be improved and pricing will be affected by distance from source. Goods local for Trinidad island will be extremely valuable in the Bermudas or Charleston. and vice versa. Cities will produce more goods if supplied by basic resources from local county cities e.g. Brining grain or maize to a certain county capital will help it to spawn more white oak or copper e.g. Bringing combat reports to capitals will eventually bring more graduates from europe to serve as gunnery officers Every area (county, island) will feature unique goods only present in this region. Players will be able to maximize profit by hauling goods away from these regions. Trading and crafting missions Delivery missions Crafting missions (for guns, repairs, ships) Postal services Passenger transport Port development (new feature) Resource investments Shipbuilding bonuses Fortifications Additional PVE combat improvements AI improvements for NPCs Elite NPCs Bot routes in the open world will improve NPC chasing abilities improvements + NPC aggression in the open world (when AI is confident it can catch and the target and give it some action). Captains will have to plan the movement around clusters of enemy ships (players or non players). National NPCs will also try to support weaker side in uneven battles if they are around. 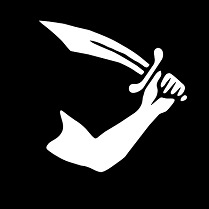 Captains Large update will be deployed within a week (optimistic) or two. New exciting feature on port investments is going to be introduced into the game. Industry development Clans will be able to invest resources to open up new production in ports creating resource bases providing easy access to materials from one spot. Numbers on the screen are for demonstration purposes only and will of course change Clans will be able to determine who can invest and use these facilities; because they control the land Shipbuilding development Clans will be able to invest resources to improve ships built in the region in the following categories Gunnery Hull Sailing Survival Rig and Masts This feature will be available to all national captains, who build ships in this port, because knowledge on shipbuilding is not land based and other people will be able to work with specialists trained in the city. Forts and defenses. Clans will be able to build defenses for their ports In the first iteration positions of forts will remain the same as in the current game (some positions will be adapted to change placement of useless towers or forts into locations that will help defending the city) Defenses destroyed during port battles will have to be rebuilt again (depending on % of their damage) Base map will be without forts and towers. Overall balance Every type of investment will require points and having limited points per port, clans will have to pick things they want to specialize their city in. Some cities (chokepoints or front line towns) will only have forts, some will become resource bases and some will become shipbuilding cities. This balance will be supported by the changes how hostility missions are given. Hostility mission and conquest flow changes. Mission availability Hostility missions will only be available from National Capitals and County Capitals and Free towns. Hostility missions will only be available for the 2 nearest Enemy or Neutral County Capitals. Hostility missions for regional towns will only be available from the County Capital of that region (example below). County capital of the region will allow taking hostility missions for ANY regional port of that county. Conquest flow To capture a regional town you first will have to capture a County Capital of that region To do so you need to own a County capital near to that region. (as hostility missions will be distance based) Then you will be able to capture other regional towns in that County, building resource infrastructure or ship building bases in the region, and defenses in the county capital. Example To conquer Arecibo Regional town in Puerto Rico if you are Swedish working from Gustavia You first have to conquer County Capital in Virgin Islands Then you can take a mission from Virgin Islands county capital for San Juan and conquer it Then from San Juan you can take missions for regional towns in San Juan county Alternatively you can of course sink player ships or NPC ships around Arecibo and gain hostility directly. Frontlines Because missions are only available for the 2 nearest Enemy or Neutral ports natural front lines will emerge This means you can create choke points and invest in defenses in some cities (mostly county capitals) to lock access to enemies further into your shorelines. Some areas will become constant source as nations trying to move to some regions will have to fight for the key points of the map Hard nations with no capitals will have to plan their operations from free towns capturing nearby regions to expand. Open world hostility generation will remain - you will still be able to generate hostility on the port by sinking players or npc in that port area. All this features will require a full map wipe. PS other issues regarding forts To the concerns raised by @Anolytic in this topic Fort guns will undergo the following changes (some changes have already started) 1) HP buffs (some already done) 2) Points for forts were reduced as they granted easy points for attackers 3) Guns will be buffed - they will become more dangerous. 4) Some positions for forts and towers will change (at least where it is possible) so we do not have useless towers or forts in port battles Overall forts will become an expensive but very powerful allowing players to set up defensible chokepoints on frontlines. …………….. Again will repeat. All this features will require a map wipe More information will be added to this post based on your questions in this thread. Hi Captains We are almost finished with the port UI and plan to deploy it soon. Here is some information on the mission system that will be updated over next 2-3 patches (probably starting with the port UI patch) Operations Operations is a set of objectives that must be fulfilled to receive a big reward Every player will have to start with the Welcome to the Caribbean operation that will unlock subsequent events and missions Conquest operations will be introduced giving nations specific timed goals (asking to capture a region, a city or an island) Combat missions More variety will be added to combat missions. Unnecessary mission ranks will be removed OW hunt missions will be added Some missions will require you to sail a specific ship looking for a specific target Some missions will require you to find a specific good in the holds of the enemies. Economy missions Delivery missions will return Ship crafting and cannon crafting missions will be added Port Agent system We will start with 3 agents per port Missions will depend on port size and maybe taxes Player can exhaust all tasks in the port and will have to move to a new one Challenges will return in the improved form First challenge will be an OW hunt weekly challenge Tournaments We will start with the duel tournament based on Naval Action Legends Duel Event Next patch you can definitely expect an improved variety of combat missions, combat challenges and a weekend duel tournament could also get in. As usual we are showing the preview from the new port UI - Here is a login screen draft Improved speed and quality of development can definitely be attributed to @sterner who is now helping to oversee the production before release. Captains Mega patch with multiple changes will be deployed tomorrow 8th March! PVP/PVE Patrols PVP was made more affordable and rewarding with the introduction of Patrol missions More information can be found here Tiered rewards will be added to patrols in the next couple of weeks after this event is tested New content will be added to admiralty in the next couple of weeks Conquest Changes: Conquest for everyone Conquest no longer favors only leading nation Any player can get access to victory marks, by just being a lord protector at least one port on monday maintenance Victory marks distribution has changed. Lord protectors will now receive victory marks every week based on their port ownership on conquest round end (weekly). Victory mark distribution is tiered and has diminishing returns. You will get 1 mark extra mark for every 3 ports you control but the max number of marks that can be received is limited by 5. Example 1-3 ports: 1 victory mark 4-6 ports: 2 victory marks 7-9 ports: 3 victory marks 10-12 ports: 4 victory marks 13-15 ports: 5 victory marks 16-18 ports: 5 victory marks etc.. To promote more activity across all time zones, Port battle timer now costs 500,000 per day; old 100k price was ridiculously low and cost of the capture timer will continue to evolve Hostility missions improvements. NPC defence fleets in hostility missions now adapt to an attacker force. Responding with similar vessels both in rating and in numbers. If one player will come to generate hostility on the enemy force he will encounter 1 defender. If 10 players come to generate hostility they will encounter 10 npc defender ships. The problem of the inability for the port owner to provide an adequate defence force is solved by limitation of player ships in the hostility mission. Both defender and attacker can only bring 10 vessels into the hostility mission. Hostility missions now spawn 30% closer to the port Reinforcement zones rules of engagement change ability to pull the players to the battle using NPC attack - removed ability to pull the players into battle using player attack - removed if battle is created in the reinforcement zone only attacked player or battle group is pulled into battle all others will be able to join using positional reinforcement and can decline to do so. This will remove the potential for grief and abuse in the reinforcement areas. Add. Positional entry rules mean battles are open until they end, which greatly help defenders to punish the hostiles Battle groups reworked Battle group will act as a battle group only when there are 6 players or more in the group. The status of the battle group is shown in the group interface and will tell you if your group is a battle group. This is done to remove abuse of battle groups mechanics allowing creation of solo battle groups to avoid screening. Other changes and improvements Clicking on a ship in the open world will now show the circle around him, that can help understanding who will be pulled into the battle if he is attacked. This will be very helpful in station keeping when traveling in the open world. Unrated vessels without the chasers now have the control perk too PVP Upgrade Drop. Player ships will now drop one of the installed upgrades into its hold if boarded or killed. You cannot enter or exit shallow water ports with deep water ships. Use tow ship function to move the deep water ships out of shallow water areas. Player names and ship names removed from ENEMY players in the open world identification. You will only know that it is a player and an approximate rank of the vessel/vessels. You will only be able to find out the name of the captain once you engage. Names of your nation's captains are not affected. Checkbox to only show online clan members added to clan interface Tow to port now creates a PB entry timer. Timer is the same as the PB timer created after normal battles. Attack circle is reduced. You will be able (theoretically) to lay fire immediately after attack. This is done to reduce counter tagging. Minimal speed in the open world is now 4knots, to provide better experience in long journeys. Ship sinking time is increased by 30% for destroyed ships to make picking up loot easier. Side force no longer affects speed indication Epic events no longer spawn very close to shallow waters Brace command is reassigned to F10 - to remove accidental clicking (40% of new player bug reports were about brace) Wasa, L Hermione, Santa Cecilia received a slight armor buff Wasa, Hamburg, Ingermanland, L Hermione, Santa Cecilia received a turn rate buff Leeway force from square sails, and staysails/jibs slightly increased NPC ships HP buffed slightly to compensate lack of repairs Barricades now have the attack penalty and are a pure defensive upgrade Angle importance on penetration slightly increased (need more testing) to provide more options to control incoming damage into hull Edinorog accuracy reduced to somewhere between carronades and medium guns. Vertical sector greatly reduced as it would be impossible to use edinorog howitzer firing through ports of the ship. All other upgrades increasing vertical gun sector drastically nerfed Rigging specialist perk nerfed as its bonuses were too high. Acceleration/Deceleration formulas improved based on the wetted area calculations; which in general reduces tacking effectiveness for wider deeper vessels. Ships created through admiralty notes can occasionally receive crafting bonuses and extra slots. Tutorial Tutorial button is temporarily removed for the final integration of rewards and final exams. Leveling and rank progression and crew assignment for ranks will change in the next couple of weeks. Plans for March/Early April Integration of the open world UI into the game Finalization of tutorial Premium ship pack containing 3 ships (2 of which could be acquired in game by other means) Hotfix March 8th Ship crafting bug fixed PVP Patrol button is temporarily removed to fix the Battle circle of doom sometimes spawning with an offset killing everyone in the instance Database is being reverted to today's maintenance state due to too many ships lost in events and crafted. Hotfix March 9th Fixed bug caused the Battle circle of doom to spawn incorrectly. PVP Patrol missions are back. Hotfix March 13th Fixed bug that prevented pvp patrol rules of engagement in Nassau order. Captains. Secondary security zones for France, Spain and Britain will be abandoned and will become capturable in one of the next patches, as they did not have any influence on the goals they were supposed to achieve. We are very sorry for the inconvinience that this change might cause. Please take necessary precautions and move ships resources away if you do not plan to defend those areas. Captains Final part of the sailing model and ship stats tuning have been deployed. Battle ratings for vessels have been updated based on their strength and close range sustained damage Sailing model and wind polars After testing and monitoring the usage of ships we have decided against exaggerated curves for vessels and have moved to fully historical sail composition. previously we buffed downwind or upwind performance to create differences, which caused some ships to become useless or less useful. All sails area have been recalculated based on their optimal and potential sail area, that could be achieved by the captain by trimming or adapting his sail plan, within constraints of ship mast lengths and yard lengths. As a result majority of underperforming vessels will now perform better and in general will have a much better sailing profile. Speeds have been updated for lighter vessels and majority of light vessels have received a speed buff. Ship with more spirit sails received more buff to frontal yard power. HMS Victory performance against the wind have been slightly increased. Wasa (Kronprins Gustav Adolf) hp increased and displacement recalculated Turn rates have been updated based on improved turning calculations model Buffs USS Constitution turn rate have been increased Nerf Trincomalee, Belle Poule, Renommee, Cerberus, Mercury, Snow turn rates have been slightly decreased. Other tunings Epic events ships chests contents have been improved (gold, silver and epic) Explosion damage have been updated based on the ship size and powder room contents (magazine size) Cannon loss (damage to cannons) increased in the following cases raking damage broadside damage (if broadside is heavily damaged) Cartagena Planking now gives 5cm thickness bonus and 2% mast thickness bonus. Bugs fixed: Rigging specialist inconsistent bonus to % of repairs fixed. UI work continues. We currently are working on the OW improvements (missions, battles and other entry windows). Discuss. Patch 25: Open world user interface update. Captains Amount of chain shot carried by a ship will be limited next patch (so called tutorial patch) No perk will be required for use of chain (at least for now). Reasons Historically ships carried A LOT less chain and grape compared to normal cannon balls. Gameplay wise we want to bring more skill into chaining and limitation of chain will force players to conserve it, pick proper angles to destroy more sail and in general think about its use instead of current chainshot clicker heroes This also means that outnumbered players will have easier time fighting against bigger groups who rely on active chaining as the ONLY tactic. Please start thinking about new tactics and of course.... discuss. Hello Captains We already announced the changes that will improve the hostility missions and victory mark distribution in game, giving everyone equal footing. Individual port ownership will grant you victory marks and even owning one port will make your conquest efforts count. You will no longer be limited by your nation capabilities and your small clan can influence the conquest, and get rewarded even if you are the only clan in your nation. Now it is time to improve pvp itself. In one patch a new type of mission will be added to the game. This mission will completely change the mechanics and motivation behind progression and will route the player to one of the most fun and varied activity in the game. PvP missions will reward player based on the damage he was able to inflict on enemy shipping. PvP missions will reward the player with ships, repairs and small amount of pvp marks. The goal is to remove gear fear from pvp and motivate fighting, not ship preservance. Example of the mission for the light frigates La Mona Naval Patrol Captain: Your task is to inflict as much damage as possible on the enemy players shipping in the designated areas of the Caribbean. Running is discouraged, preservation of your vessel is not important! Assigned ships Cerberus, Renomme, Surprise. Goal: Inflict 5000 damage on enemy shipping in the area. Rewards: Random light frigate note, 30 rig repairs, 30 hull repairs, 250 rum, 5 pvp marks, combat ready upgrade, some money for fitting and guns. The player will have to arrive to the designated area, damage enemy ships and probably sink as a result, but he will learn something. Of course due to 2.5x pvp xp bonuses he will be leveling up faster and such navy patrols will help him recover losses. This feature will be further underlined by the fact that tutorial master exam will award the player with the M&C rank making him immediately useful + such missions will route him to the most fun activity in game. Discuss. Ideas for new gunnery mechanics and also swivels baby! Captains. MEGA Patch is being deployed today on 28th February! Contents of the patch. Localization has been officially added. You can change the language of the game in the options menu. Localization is not complete!– as new content has been added in the last 1.5 months – this will be translated soon Custom files for all languages has been added. 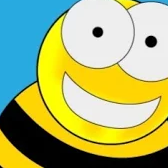 They can be used by community translators or yourself to improve things you do not like to completely change language There are issues in some translations due to the fact that outside firm was - but they will eventually be fixed, with help of community. Battle UI Battle UI has been freshened up. All Battle UI has been moved to one technology set (slightly increasing FPS in battles) Boarding is no longer showing enemy commands. Boarding UI might need another pass of improvements based on your general feedback. You can now use buttons [ ] during boarding that will allow your ship to fire point blank broadsides. All buttons have received informational tooltips, which you can read by putting your mouse over the buttons Combat model Ships of the line will now rule the seas. No longer ships of the line will fear light corvettes. Damage model has been adjusted. Inverse DPS problems has been fixed (previously 4lb guns had higher DPS than 42lb guns) Reload shocks issues were fixed. You will get them regularly if you maximize damage in short periods of time. Lower rank NPCs turning has been adjusted (previously they turned like experienced rear admirals when they should not have). Additional tunings to NPC combat will be applied soon. Turn rates were lowered across the board for most vessels, to support the precise deliberate combat model (low level ships turned like they were on drugs) Additional improvements to speeds and turning will be deployed next week. PVP and ROE changes (rules of engagement) To increase number of PVP opportunities the following change has been made. Open world battles for the weaker side (based on BR) are open for 20 minutes. You can reinforce the weaker side if you are sailing by. The mission will close and swords disappear once BR evens out (with certain % threshold) if you want to get help stay closer to friendly entry points. If you are ganked, call for help in chat, people can help you. Of course just like tracers in ww2 this feature works both ways. If you attack in force your target might get reinforcements, changing the course of the battle. Overall goal is to give more pvp opportunities to captains Combat Medals were introduced. Combat medals will be granted for PVP activities, and will give access to pvp rewards. Port importance for clans and rare resource spawns Changes to rare woods spawns and access Rare woods resources now only have limited trading spawns in the Carribean. Rare woods forests can now randomly spawn somewhere in the Caribbean in limited quantities. (can be fully exhausted) These rare woods now can be received by clans using delivery missions Сlans and clans on their allies list have access to these missions Getting rare woods by using missions reduces their supply. One supply is fully cut down the forest will spawn elsewhere in another port. Rare woods are: Live oak, white oak, bermuda cedar, teak, mahogany, caguarian, sabicu. Protected areas Redundant protections removed from secondary protected areas (like Louisiana or Vera Cruz and Belize) Additional improvements of the protected areas will be done next patch Trading Trading will be more available Resources spawn distribution is now better and ability to place contracts on trading goods removed. Additional regional goods added Selling goods far from the purchase place will make more money (buying something in Trinidad and selling it in the gulf will make a lot of money This of course means that short distance routes will no longer make too much money Barter added (but not yet tuned properly – will be fixed in the next hotfix). It will increase supply of trading goods Missions PVP hunt missions added Solo PVP patrol zone added In the solo patrol zone you can only be attacked by the ship of the same class and battle will close immediately. Passenger delivery missions added Letter delivery missions added Clan delivery missions added Mission rewards increased Better PVE – More accessible PVE NPC fleet placements slightly adjusted (gulf suffered, but all other regions will generally see more NPCs – we will fix the gulf problem later) Missions are now based on regions (less on port type) For example Hispaniola is a 1-3rdrate region. It will only give missions for 1-3rdrate. Missions are now unlimited – if you finish your initial set of missions you can take new ones. No longer we will force you waste time on sailing to another to find additional supply of missions. Missions spawns are significantly improved – time is precious - you will no longer spend 20-30 mins reaching the mission. Missions will no longer spawn on other sides of large land masses. Group missions added (enemy types and rewards are not yet fully balanced- some missions might be very hard) warning - group missions enemies and rewards are not tuned properly. but feel free to try them. Other changes Sextant perk is now provided automatically by default to all new accounts Fleet perk for 1 ship is now added to all accounts by default (so new players can go straight to capping and looting) Small amount of low level NPC enemies were added around Capitals to provide additional opportunities for new players UI scaling options added to the game Additional flags added to DLC for some nations 1 flag was added to admiralty store for some nations, in the next couple of patches all nations will have 1 flag in the admiralty available for doubloons. Prices for basic resources were adjusted, blueprints for ships were adjusted to support the new damage model. Some balance issues with blueprints were fixed. Labor hours will be adjusted too in the next hot fix (did not get in this patch). NEXT HOTFIX Labor hours spent on crafting frigates and below will be significantly reduced. Labor hours generation WILL be increased 2.5times. Discuss. Captains Patch is being deployed today 26th of April Contents Mast hits are only shown for successful penetrations Depower (T) command has been reworked: It is now partially separated from the main sail control. If depower (T) is ON then your W / S command will only work with square sails If depower (T) is OFF then your W / S command will work as before. (raising all sails including staysails) This means you will have more precise speed management controls without the need for too many annoying clicks. Visuals of sail damage for some tutorial ships has been fixed Reset of Pursuit and Capture tutorial now also resets chain shots stock Fixed the bug with negative speed affecting the boarding ability Fixed indications on marks and battle stats after tutorial battles Reduced the minimal sail damage threshold back to the old level (we increased it to 40% last patch and it allowed too many escape options due to limited chain shot). Sail still cannot be destroyed fully (as even fully torn cloths still possess some driving power). The limit is now 28%. Fixed the bug that was allowing to receive rewards in the enemy port when passing the tutorial (getting you stuck in that port). From now on you can only receive tutorial reward if you have the warehouse in the port. Discuss. Update May 10th Assist threshold for mark distribution has been lowered to provide all participants of combat a fair share of reward Mast hits indication has been reverted to the old system, where you did not know if you penetrated the mast or not. Update May 16th Fixed crew damage participation in assists and pvp mark distribution Update May 17th Additional fixes for the ship capsizing bug Update May 30th Fixed the issue allowing killing and looting friendly NPC ships Update June 4th (server side update) Fixed the bug with extra experience for crew damage Team have decided to not revert extra xp gains received as a result of the bug, as it was caused by the developers. Patch 29. Sextant, shallow water changes, improvements in the User interface. Captains Patch has been deployed. Tutorial! Main goal of the patch is to test the tutorial and provide feedback on it (including ideas for new tests and exams) Tutorial can be accessed by pressing esc from the options menu Please provide feedback in this topic http://forum.game-labs.net/topic/24654-combat-tutorial-feedback/ Other changes 4th rate Epic Events added to map. Minor changes to crafting and NPC ships. Marines skillbook rebalanced to provide increasing variety in boarding set ups 2 new/old upgrades added to crafteable Light carriages returned Cannot join battle timer is now universal but only affects the attacker. If you as a defender just exited the port you can join the port battle as before. You can judge if you can or cannot enter the port battle by presence of the Port battle timer. Which activates after log in at sea or after exiting any open world battle or mission. LGV Pirate, Lynx, Privateer now have 20 permanent preparation bonus Wasa is now a third rate Indiaman is now a 5th rate Bots don't switch ships after boarding UNLESS they are sinking Forged paper are fully prepared for steam dlc (but store not yet opened) Carronades now penetrate better and their penetrations don't drop so much 1 pood edinorog (formerly 24lb edinorog) rebalanced to more historical parameters. Tow to port timer is now 5 mins (if you are stuck, you are ok with the longer timer). Please keep in mind that tow to port will significantly change after interface rework, as you will be able to switch ships at sea and move hold from ship to ship, allowing us to turn tow to its final role of unstuck. Deflationary events. Over time with introduction of new ships some parameters have increased and sometimes maybe too much. Its time for minor reductions. Base speed reduced for ALL vessels by 7% Thickness reduced and rebalanced for higher level vessels - mostly 5th-1st rates Leeway slightly reduced Discuss Hotfix Fix of combat and hostility orders entry. Fix for losing ships in port if you lost a ship in the tutorial Contracts for copper ingots can be placed now Port battle timer ONLY affects attackers of the port. Defenders can enter the port battle right from the harbor. My post is below, but for those who will avoid reading anything longer than a paragraph, here is the short version of my proposal: Limit wood type choices when building Lineships (4th-1st rates) to only allow the heavier wood types: sabicu, white oak, caguairan and live oak. --------------------------- I have observed with interest the discussions about the combat model we are now testing on the testbed. I haven't gotten around to testing it myself yet, but I have gradually grown more positive as I've read admin's elaborations on his thinking on the matter. But there is one issue that, like many others, I foresee: speed-built ships-of-the-line cruising around the open world, able to run away from all other SOLs, and devastatingly deadly against every frigate, and at the same time with the ability to catch them. Should this really be a thing? If the new combat model prevents frigates from messing with SOLs, should SOLs still be able to interfere with frigate-combat? I seem to remember having seen some historical evidence that SOLs would not fire upon frigates in a fight, unless the frigate opened fire on the SOL first. So even in battles like the Trafalgar, frigates would fight frigates and SOLs would fight SOLs. If a frigate did fire at a ship-of-the-line the latter could return fire, and it would be devastating. Another question I have is: Why ever would a navy build a lineship, as expensive as they were, that would be unable to fight in formation against other lineships? What navy would waste their treasury on building a "fir/fir" Victory, that could hunt down frigates, but would be useless in the Battle of Trafalgar, or Battle of the Nile, when they could probably build five frigates to patrol waters against enemy frigates for the same price, allowing them to cover greater areas, be less vulnerable to ships needing replacement or were lost. Historically, ships did not last infinitely in service like they do in-game unless sunk. So my question is: Should we be able to build "light" lineships? My suggestion, though I put it out there without taking much time to ponder it myself first, is this: What if we limited possible wood type choices for Lineships to only the heavier woods? What navy has use for fir, bermuda, mahogany or even teak lineships? I would also take oak out of the question, because it can be farmed and doesn't have to be bought from the market. So that leaves us with sabicu, white oak, caguairan and live oak. Those, in my opinion, should be the only options when building ships from 4th rates and up. Frigates however, should have the option to use cheaper/faster wood types - for diversity and tactical choice. Testbed - battle user interface feedback. Hello Captains. Testbed will open next week and everyone will be invited to help us have a preliminary test of the forthcoming patch. The main goal will be to test Battle UI update, but captains will also be able to check out new trading and delivery missions (and localization). Captains who will fulfill the testbed requirements will receive rewards (Santa Cecilia and Paint chests). More information will follow. Merry Christmas and Happy New Year. Captains. Admiralty wishes you wealth, health and happiness in the 2019. Please accept the following gifts in the redeemables. Kiritimati Masts made from the strongest trees found in the famous Christmas island. Edinorog guns that will make your opponents fear your ship. Rare Christmas gift – Danish 2nd rate Christian. Redeemables must be claimed before 25th of January 2019. Attached - player made video of Christian by Captain Anolytic. Trading update patch - coming soon. Hello Captains Here is the information on the trading update patch. Every region will provide trading opportunities in unique resources specific to the region. For example resources unique for the Hispaniola region will only be available in Hispaniola. Trading prices will depend on distance from the source. The further from the destination you take the resource the bigger profit will be (even on the basic goods) Local goods become important part of the economy. Trading hubs will provide more trading or crafting resources if supplied by local goods. For example - bringing livestock from the nearby ports to the trading hub will help the port to produce more white oak. Common European goods will be introduced and will provide modestly profitable trading opportunities based on distance (horses, porcelain etc.) Rare more expensive European goods will spawn as usual and will provide good profits at medium distances and great profits if you sell them at distance hubs. The main difference with the old system are: More immersion and realism in creation of the trade routes and triangular trades. You will be able to find a working trade route and exploit it for your advantage. Resources will not feel random anymore - if you want a particular crafting good you can increase its output by supplying the port. Want pearls? - they are always in San Juan. Distance based pricing. No more extremely profitable 5 min routes. More influence on conquest. Hubs will matter more for taxes and control over resources. On the issue raised by @HachiRoku @Anolytic and many other captains. There was a proposal on this forum (i think it was @OjK but can be mistaken) Proposal was this: sell the permit that the player then will craft (unique ship but still participating in the economy). Initially thought a great idea. Evolution of imported (DLC) ships thinking was this. Premium ships was announced when we did not even think about the open world (in 2014) Premium ships were initially thought as unique status items, a more beautiful alternative. Some ships introduced over time were not crafteable (Wasa, Hermione) to give us the option to add them to premium roster without taking away crafteable ships. First experiments were ran with Hercules and LRQ (it wa good to do it in early access as many things were discovered and learnt as a result) Now many players say that DLC ships reduce the role of the economy, and that there should be deep and interesting MMO economy. But let's get this straight. Crafting was introduced last, and is a least cooked feature, as all focus was always on combat model, rvr and ROE (lately PVE). Hauling was somewhat forced onto players because some time ago we wanted everyone to be the target. And here is the main discovery. Players do not buy DLC ships for uniqueness. They do not buy them because they are stronger or weaker than others (there is always a better crafted ship, sometimes 5/5 crafted ship). Rattvisan is definitely not the best 4th rate. They do buy them to support developers (thank you everyone for support) And they buy them to avoid participation in the exciting economy (mainly hauling). Trading goods is rewarding and has both risk AND profit. Hauling goods for crafting is boring, not exciting, is risky but gives you no real rewards (you make a ship that you will soon lose anyway). Thats why making permit based DLC ships is not going to achieve anything. Thats not what customers want. Now. Here is the rug change that will tie the room together. Port investments will remove hauling requirements for basic resources for all players who play with friends or have friendly clans in the nation. Clans (and you can have a small clan and capture a distant port to use it) will invest into production of all basic resources in their port defenses to protect it shipbuilding to improve ships built in this region. By doing so - player will get ALL basic resources in one location, completely removing hauling requirements out of the picture. Saving time and getting ships by just spending LH and cooperating together to get rare woods if needed. Clan can decide if they want these investments to be available to them only, to friends or to everyone who can build in this port. As a result. Clans who developed the port will be able to get ships with one click. Enemy clans who do not want to spend time developing ports can try to capture the port from the enemies (why build if you can cap). There will be a lot less time wasted on hauling and more fighting. Captains NPC positioning changes next with Port UI patch. Feel free to use this information for changing locations for your future activities. One Port - One Flag. NPC fleets will carry the flag of the port they are assigned to. Dutch ports will send out Dutch traders, Dutch combat patrols, Dutch fleets to sea. Sail along them to get extra protection when trading or returning to base. Of course traders and NPC patrols will venture to enemy areas, but expect to see mostly Dutch ships if you are sailing through Dutch coasts. Regions Matter To help players find their perfect hunting spot, to help with search and destroy missions and to provide natural chokepoints and meeting places for players certain classes of NPC ships/fleets will now prefer to sail specific regions. For example: Yucatan Region, Hispaniola, and Lower Antilles will mostly have 1-3 st rates ship of the line sailing solo or in fleets. Missions currently avoid this requirement. Kill Missions will continue provide targets based on mission not on region. Hello Admirals and Generals! We would like to share with you few screenshots from upcoming new game - Ultimate Admiral: Age of Sail. They are WIP(work in progress), but they help us to introduce you what the game will be. We are working on the illustrated guide in the PantherFibel Style that will help many to understand how to sail. Captains, more than 20 characters were sanctioned in the last couple of weeks based on your reports. Please continue to report alt farming cases, thank you. This is a great feature but its also a very bad feature, due to human nature creating "black mirror" situations. For example - a very large clan in your nation can drop a solo player rating just because they dont like you. A solo player wont have the ability to recover from it. Captains In one of the nearest patches green protected zones reinforcements will be changed. Instead of ships of the line local authorities will send veffels vessels that are appropriate to the attacker ship strength. For example: If 3 frigates rates attack a trader, 3 buffed reinforcement 5th rates will be sent as protection. Please adjust your trading routes or production accordingly, and spread this information to your nation's officers. Hello Captains I am back from travels (was visiting 88yr old grandma). How is everything? Concerns? Questions? Issues? From our side: Patch is on track to hit in June and will include OW UI complete overhaul, economy streamlining update + and a lot of fixes and improvements promised before. Prolific forger will also provide name change opportunity starting from the next patch. Admiralty Connection premium DLC will be added to the store (giving more warehouse space and more outposts). You still dont get it. The problems arent getting the basic ressources such as coal, fir, oak... The problems are trying to get the good woods (teak, live oak, white oak, sabicu, caguairan), the time to grind those doubloons (insane amount) and the risk of hauling those woods to the crafting point. DLCs are a matter of an instant click selecting the woods you desire. Crafting a teak-white Wappen requires effort and time (now much worse due to the permits wall). Please..PLEASE make them craftable DLCs, not ship notes... Make them "Imported ship" so we cannot trade them or capture them, but make it so that the crafting permit is redeemable from the DLC, not the actual ship-note like Hercules/Le Requin. A 24/48 hour redeemable live/white teak/white 4th rate is going to bring all the problems of the Hercules in the past x10. Please. yes. Thank you for the suggestion - we will give an option for a 2d back paint instead of the 3d port. we will start working on it in 2 weeks - so hold on. Hostility changes - fun for everyone, including small clans. Captains This month we plan to deploy final hostility changes based on the testing and learnings over the last 18 months. Unfortunately current leader takes all approach is not working due to human nature and ability to solve any problem politically. We and many players are unsatisfied with how it works; for example you can deny enemy his position on the leaderboard by abandoning ports to a friendly nation taking them back the next round. Proposals Victory marks changes Victory marks will be awarded for port control not for the national position of the conquest leaderboard. Every captain who participated in a victorious port battle and has lord protector status on the round end will get victory marks (even if their clan only owns 1 port) Rewards will be tiered to provide incentive to capture more ports in a way similar to Naval Action Legends event leaderboards 1 port 1 mark 10 ports 2-3 marks etc… New ways to spend victory marks will be added (gold chests, paint chests etc for VM and PVP marks) As a result even a small clan from impossible nations will be able to get rewarded for their conquest efforts giving fun for everyone. Large nations will get more rewards due to structured tiered nature of the leaderboards. TLDR - rewards will be granted to lord protectors - not nations. If you hold at least one port your nation will love you more and grant you the victory marks to use in admiralty stores. Hostility changes Hostility currently is based on old system (line ship ports, 4th rate ports and shallow ports) has the following main problems Number of NPC ships in hostility is not related to the port, force of the attacker and it does not allow means to counter it effectively. For example if 25 first rates are gaining hostility defenders basically have no means to counter it because they are always disadvantaged in a battle due to bots presence. The following changes will be applied Hostility missions will spawn ships ships similar to the ships of the attacker. If attacker comes in first rates - NPC will spawn with first rates. If attackers come in cutters - NPC will spawn in cutters. Hostility missions will spawn number of ships similar to number of ships of the attacker if you want to grind hostility solo you will encounter solo defenders. if you want to grind hostility in a group you will see grouped NPCs against you. Number of player ships allowed in a hostility mission will be set at 10 for both sides. Only ten player ship can enter a hostility mission from one of the sides. player ships: total 20 for both sides - 10 attacking players/10 defending players npc ships: total up to 10 on the defending side (20 in total - up to 10 npc defenders and up to 10 player defenders) This will make hostility missions more predictable, will balance them depending on the number of attackers, give defenders better chances, and give the options to counter the hostility. Lets discuss searching for potential loopholes and unforeseen problems.